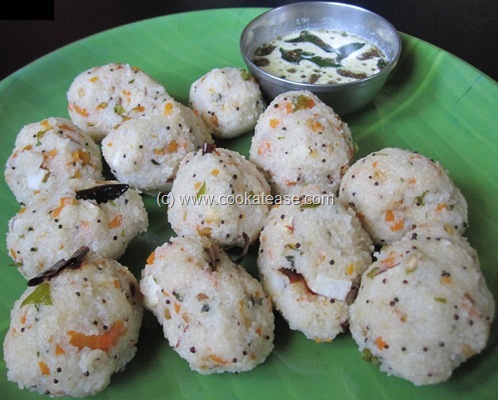 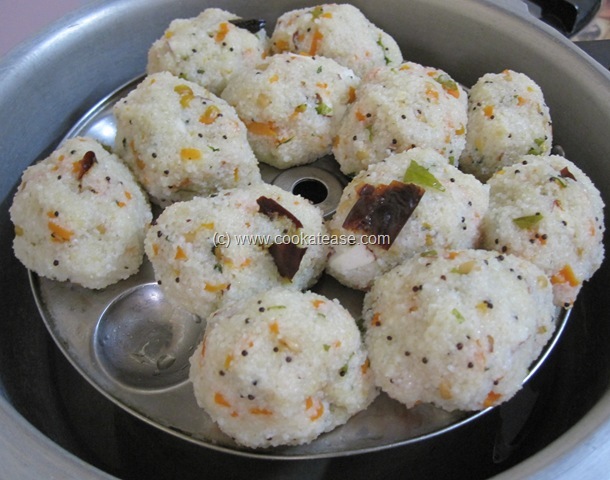 Upma Kozhukattai tastes somewhat similar to Rice Rava Upma. This is partially cooked with less oil and then steamed. 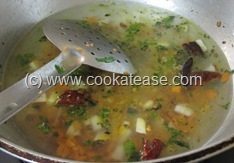 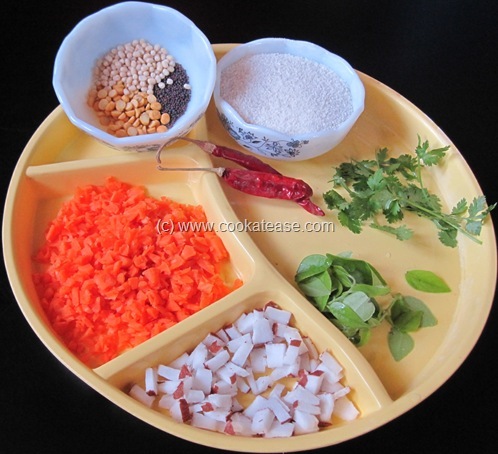 I have added some carrot, curry leaves and coriander leaves to make it colorful and healthy. 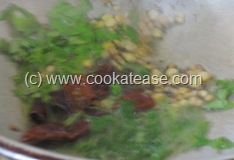 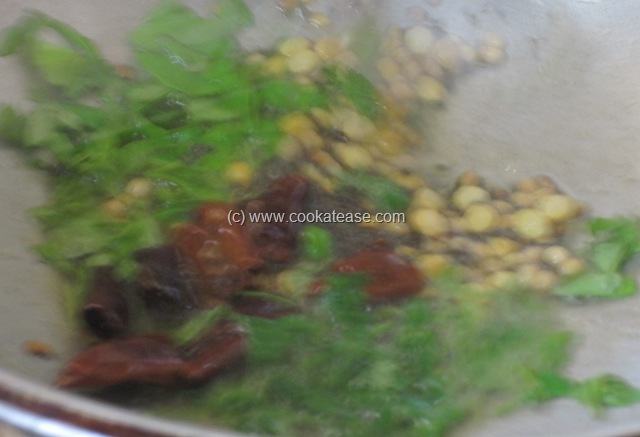 Heat a pan with oil and do the seasoning; add curry leaves, coriander leaves and fry for few seconds. 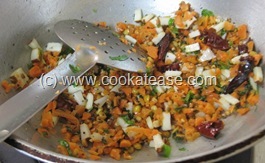 Add chopped carrot, chopped coconut and fry for few seconds; add salt, water and bring to boil. Add rice rava gradually, stir continuously and keep cooking till it gets thick; remove and cool it; the dough is ready. Make small balls (little bigger than the size of a lemon) from this dough; steam cook it for 6 to 8 minutes. 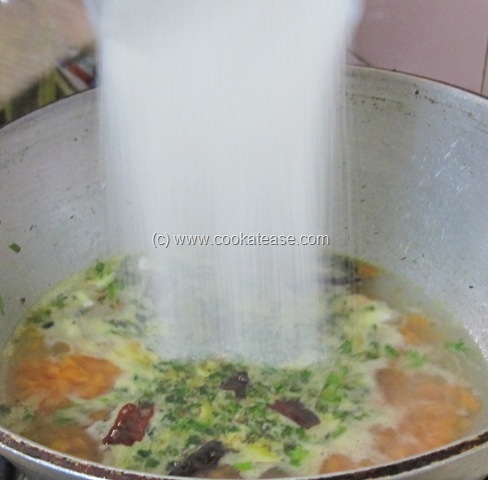 Serve hot with any chutney (here Coconut Chutney is shown). Quantity of water may have to be little reduced, if rice rava is prepared with newly harvested rice. 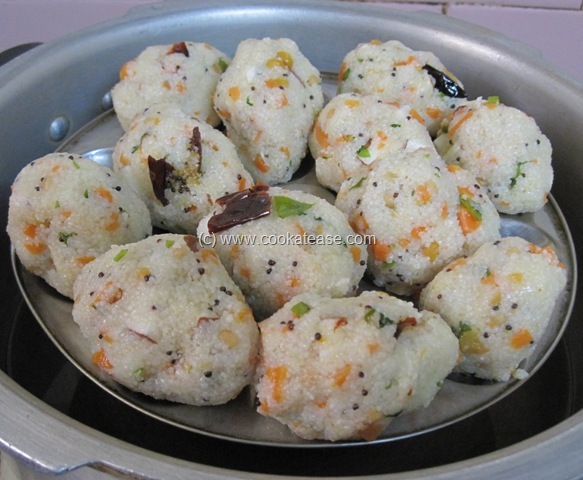 Am drooling…. 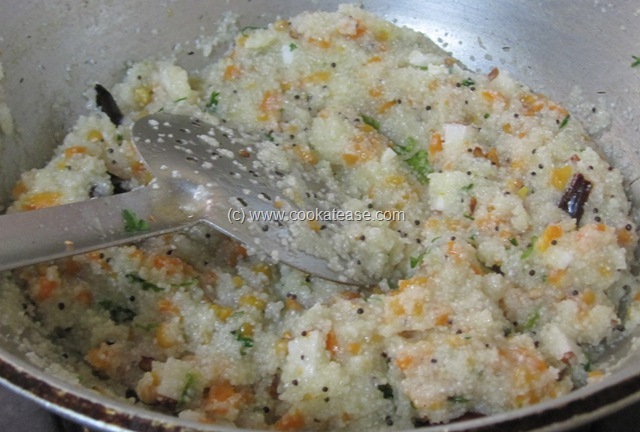 Never had this before..
Wow the colourful upma looks colourful and it makes me drooling. mouth watering receipe…. 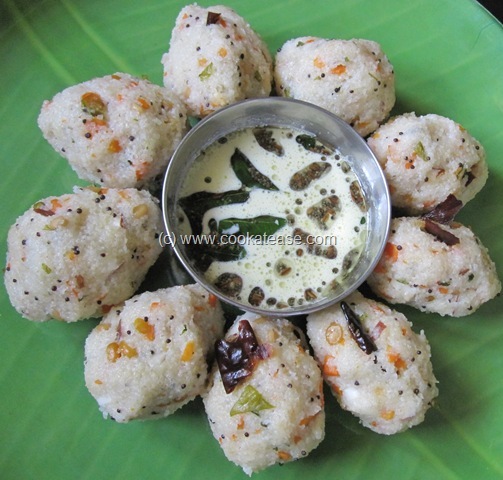 seeing itself feel to eat. 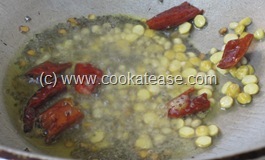 From step by step photo we could understand the process.neat & perfect.. yummy… thanks for sharing….